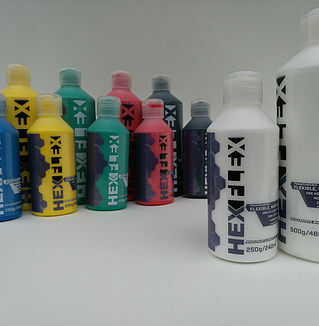 Hexflex is a water-based, fully flexible, brush on paint. It is Latex free, won't crack & cures with no tack. 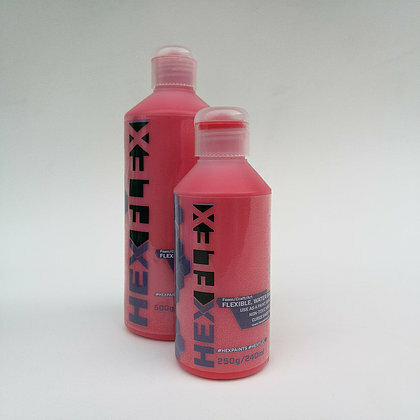 "What is great with HexFlex is that you can repair the creases in the foam by using a heat gun. 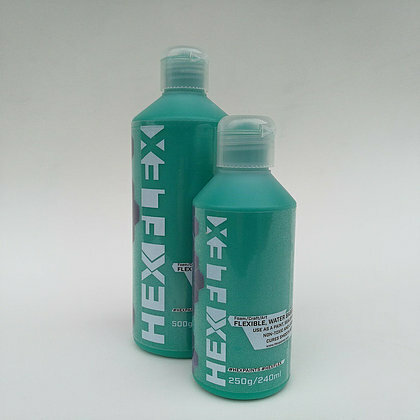 When we tried this, we found similarly that the foam pieces that had HexFlex mixed into the acrylics or only had HexFLex smoothened themselves much better. 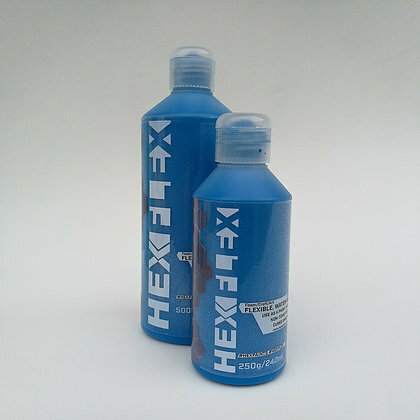 The Acrylics + clear coat HexFlex mix could repair itself poorly. 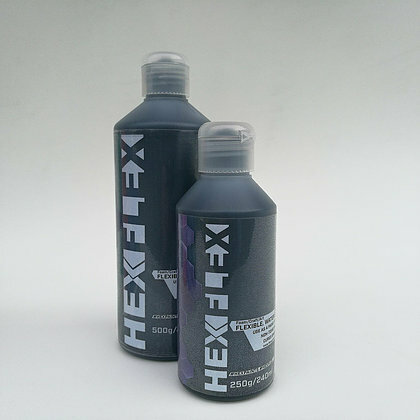 Our conclusion is that HexFlex either used on its own or mixed with acrylics is a super useful product for when you want to paint flexible pieces or just want to be able to repair eventual trauma-damage on your creations!" 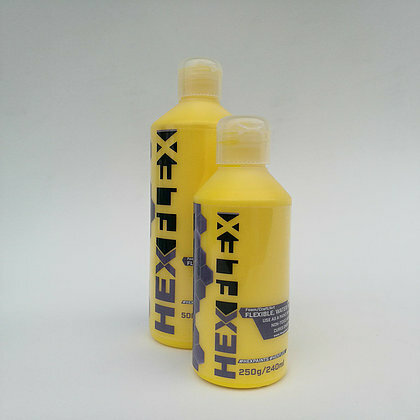 -Hexflex is supplied thick & it is advised the thin with water as required, to the desired viscosity. Can be thinned enough be put through an airgun.